This has come to be called Walker Percy’s ‘hurricane theory.’ In a moment of crisis, ‘we come to ourselves,’ and discover our connection with others. Percy’s theory helps me address a lingering question, prompted by Mark’s story about a storm on the Sea of Galilee: why did Jesus go to sleep in the boat? I love the way that Sadao Watanabe so beautifully portrays the scene. Notice how he depicts Jesus’ arm, casually resting upon the edge of the boat, with his eyes peacefully closed, while the disciples look about in alarm. Jesus —in this image— seems to know what they have not discovered: that he rests in the Father’s hands, as do they. And so, when he says, “Peace! Be still,” he may also be speaking to them, as he clearly is to the storm. In this storm, for at least a moment, they come to themselves. This post is adapted from my homily for Sunday, June 24, 2018, which can be accessed by clicking here. The image of Jesus and the Disciples in the Boat is by Sadao Watanabe (1981). The observation about Percy’s ‘Hurricane Theory,’ is by Brett Yates, as quoted by Michael Potemra. Walker Percy’s second novel, The Last Gentleman, begins with this apparently unpromising start: a nameless young man is lying on the grass in New York’s Central Park. He is referred to anonymously, as “the engineer,” and as a man who is lost in thought. How odd that the author does not identify him in any concrete way. We also might notice a curious fact; that this man is resting his head upon his jacket, which is folded inside-out. Given this small detail, that his jacket is wrongside-in, we may infer that the young man himself is in some way ‘outside-in.’ Unknown to us— he may also be unknown to himself. The mystery of his exterior personhood reflects the probable mystery of his interior identity. Having bought a very expensive telescope, our young man oddly finds himself looking at other people in the park. Through the eyepiece, the engineer becomes an observer of others by means of a scientific instrument. Nevertheless, this approach to learning about other people, and therefore about himself, will never bear much fruit. For the self that he seeks is not accessible through scientific inquiry. Walker Percy presents the young man as a cypher ~ that is, at first, he is a secret to us, as much as he is to himself. His life is like the proverbial blank canvas with its endless possibilities. But he has no freedom. Freedom only comes from knowing what you have to do, and then choosing to do it. And he does not yet know what to do. Instead, he has become a master at conforming to what other people think and do. A wise grandmother or mother will tell us, ‘remember who you are!’ Yet, struggling with bouts of amnesia, the engineer at times cannot remember who he is. And so he does not know what he has to do. For when we do not remember who we are, we cannot remind ourselves of what we are called to do. Like all of us, in one way or another, this young man is on a journey ~ he is a kind of wayfarer through life. He is seeking to ‘get home.’ Getting home will require coming to know who he is. This posting is based on my homily for Sunday, June 10, 2018, which can be accessed by clicking here. 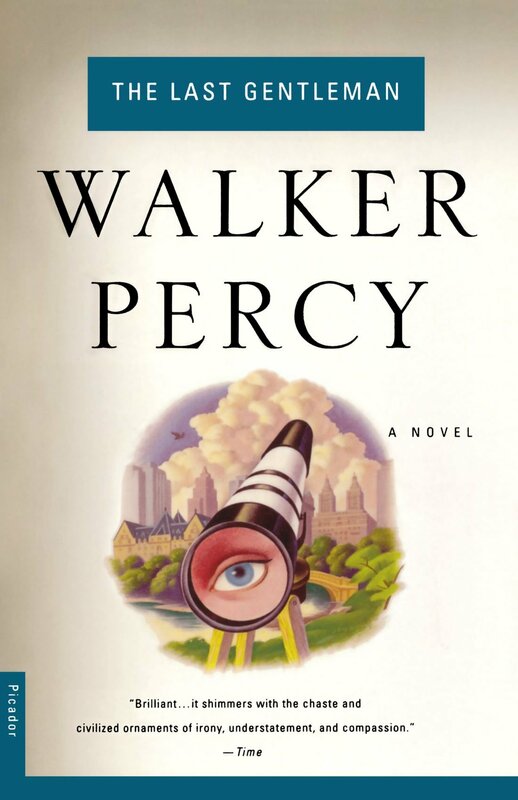 My focus on this book by Percy was inspired by my recent attendance at the Annual Walker Percy Weekend in my former community of St. Francisville, LA.